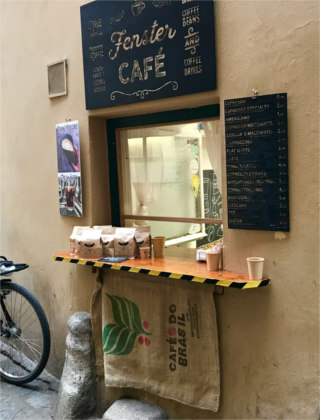 There is so much more to coffee than just cafeine,” Philip Feyer sighed while we enjoyed a cup at his coffee bar, Jonas Reindl, across from the Votivkirche. 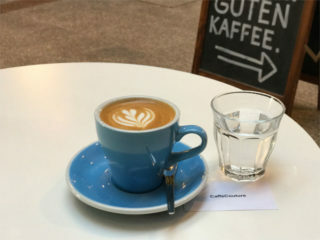 In a city famous for its traditional coffeehouses, Feyer is part of a blossoming so-called “third wave” coffee scene that has become a lively addition to the Vienna coffee culture, bringing a new generation to a beverage that has dominated the city’s way of life for over 500 years. 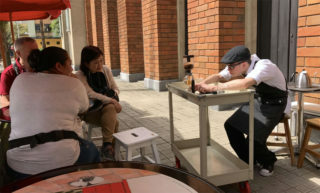 Over flat whites and V60 filter coffees, several roasters and coffee shop owners talked about joining and, to some extent, reinventing the Kaffeehaus tradition, revealing a world of passionate entrepreneurs along the way. newspaper to mingle with like-minded Viennese. Well-prepared, I had set out on my tour of discovery: Hawelka, Diglas, Prückel, Sperl, Engländer. 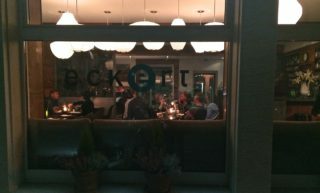 It was all there, the newspapers, the marble-top tables, upholstered benches and wobbly Thonet chairs, grumpy waiters in black-and-white, mirrored paneling and chandeliers. Not so many Viennese, it seemed, although it can be hard to tell who’s local these days. Some I avoided: The storied Café Central was out, thanks to throngs of tourists queuing up for a glimpse of the admittedly stunning vaulted ceilings. Still, most of the Kaffeehäuser were charming and fully deserving of their billing as the city’s living room, where you can be by yourself but not alone, with the unhurried time to read and reflect, all for the price of a cup of coffee. The problem was, quite simply, the coffee itself. At most Kaffeehäuser it was mediocre, at best. Time to find an alternative. Sasha Iamkovyi (main picture), who runs Fenster Cafe (Window cafe), the smallest coffee shop in town, put me on the right track. Iamkovyi’s vision is decidedly minimalist: No tables, no chairs. Not even a door. It’s simply Iamkovyi churning out flavorful specialty coffees from behind a small window (hence the name). Michael Prem of prem frischkaffee confirms this. Unlike Iamkovyi, he is a roaster pur sang. Once a week, he rents a machine and drifts off into the “meditative” process of roasting, as he calls it. “Carving out the aromas from the beans is what I love,” he said. It’s a feeling that resonates with Iamkovyi. “Coffee is such a tasty and complex product,” he marveled. “Drinking it invites you to discuss serious topics.” Iamkovyi’s remark was soon confirmed as our conversation shifted toward the origin of human beings and other profound topics. Does that imply the third wave coffee shops are the modern Kaffeehäuser of Vienna? Without seats, it is hard to make the case for Fenster Cafe, but visit Jonas Reindl, Balthasar or CoffeePirates and see for yourself: buzzing spaces, closely packed tables, reading material – and exquisite coffee. But exquisite beans and a balanced roast aren’t guarantees for a good cup: the human element is still key. Jonas Reindl won’t even let trainees handle the beans at first: you learn by watching. The next step is preparing coffee after hours. 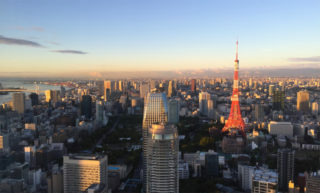 Only when you are able to deliver consistently high quality are you allowed to serve customers. 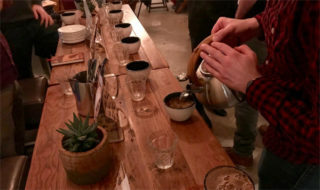 To further coffee appreciation, Feyer organizes regular “cuppings.” Recently, a guest roaster from Prague presented eight coffees, equally divided between Africa and Latin America. A barista scooped ten grams of each into eight bowls on a long table before pouring 88-degree water over the grounds. Soon, the crust was broken and the first wafts of fresh coffee rose from the bowls. The other baristas were then invited to start the blind tasting. “Hops,” one barista noted. “Love it!” Carefully imitating the coffee pros, I joined in. The flavors were remarkably different. I tasted nuts, caramel, nutmeg, strawberry, cumin and chocolate. As a rule of thumb, I was taught, the Africans are fruitier and the Americans are nuttier. No doubt: There is more to coffee than just caffeine. 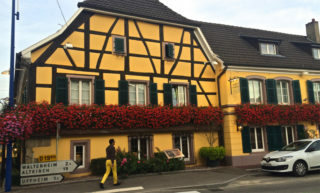 When asked if Jonas Reindl is an updated traditional coffeehouse though, Feyer denied the claim. As most of his colleagues, he adores the old Kaffeehäuser, but bemoans the quality of their brew. “Due to the tourists, there is no incentive to improve it.” That Ka eehauskultur carried over to his coffee bar is a coincidence. A slightly altered version of this article was earlier published in Metropole – Vienna in English, May 2018 issue no. 27.